it's really fun to sew up little gifts like this, especially when i get to use my own fabric designs. 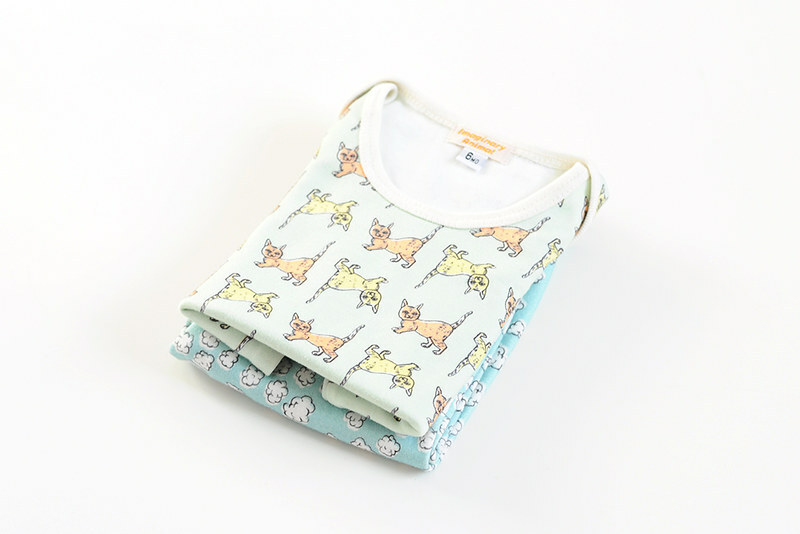 for this cute outfit i paired back to back cats with popcorn clouds, both printed on Spoonflowers organic cotton knit. 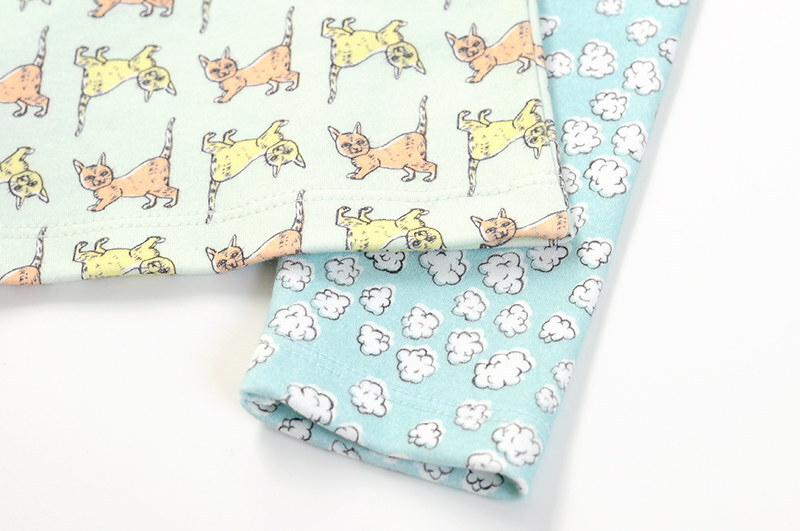 this fabric is so soft and thick, perfect for baby clothes. i used Brindille & Twig patterns for both the top and leggings. 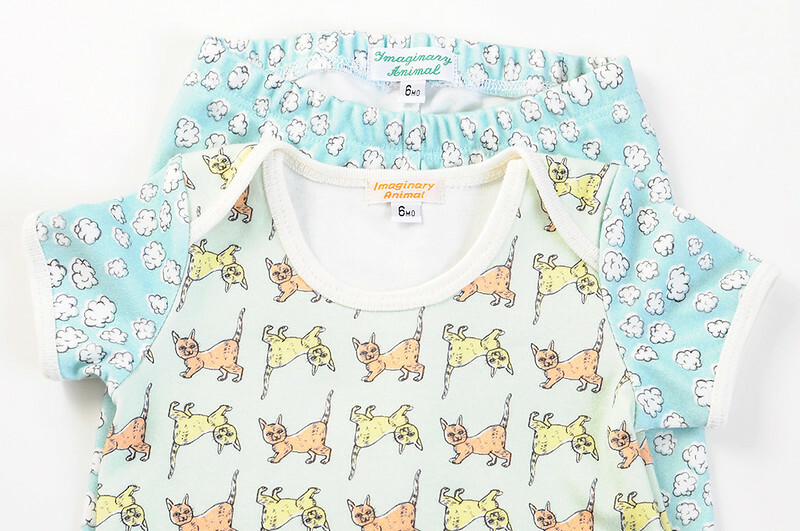 can't wait to see a new niece or nephew decked out in these!